If you have any questions about the ALHENA information page below please contact us. ALHENA was once called project/yacht name (Admiral 33). 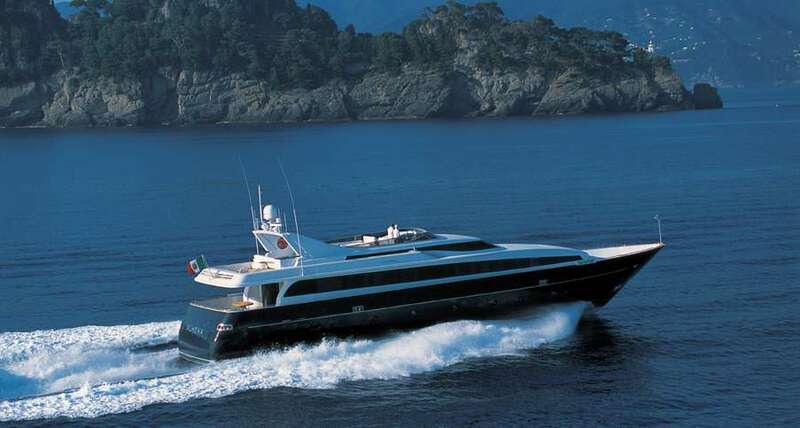 This 35 m (113 ft) luxury yacht was manufactured by Cnl (Cantieri Navali Lavagna Amy / Admiral Mariotti Yachts) in 2005. 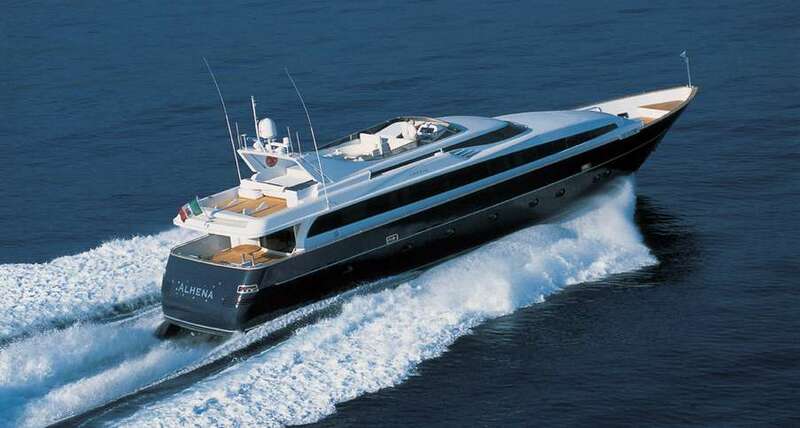 Motor Yacht ALHENA is a well proportioned superyacht. The naval architecture office responsible for her drawings in respect of this ship was Cnl & Studio Bacigalupo. The original interior design work was the work of the talented Laura Baldoni De Gorga. 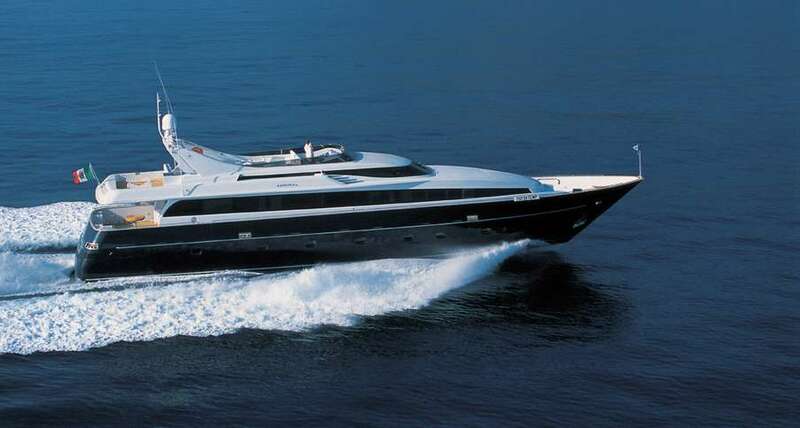 Luxury yacht ALHENA is a quality yacht that is able to accommodate as many as 8 guests on board and has around 5 crew. Cnl & Studio Bacigalupo was the naval architect involved in the technical nautical design work for ALHENA. Also the company Cnl & Studio Bacigalupo expertly collaborated on this project. Interior designer Laura Baldoni De Gorga was employed for the overall interior styling. Created at Cnl (Cantieri Navali Lavagna Amy / Admiral Mariotti Yachts) the yacht was completed in the yacht producing country of Italy. 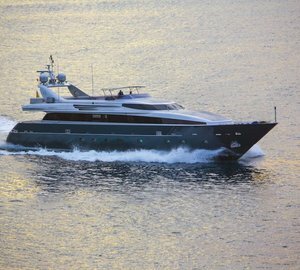 She was officially launched in Lavagna in 2005 before being handed over to the owner. The main hull was crafted from aluminium. 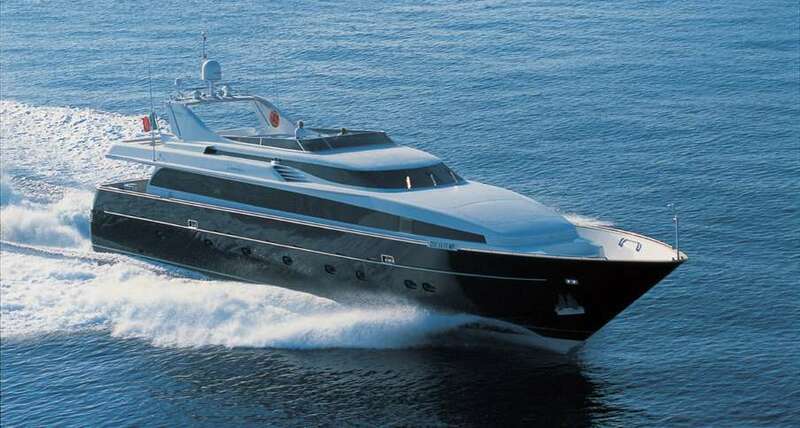 The motor yacht superstructure is made predominantly using aluminium. With a beam of 7.4 metres or 24.3 feet ALHENA has reasonable size. A reasonably shallow draught of 2.5m (8.2ft) limits the amount of marinas she can enter, taking into account their specific depth at low tide. The 12V 4000 M90 engine powering the yacht is produced by MTU. ALHENA is propelled by twin screw propellers (fixed pitch). The engine of the ship creates 2775 horse power (or 2040 kilowatts). She is fitted with 2 engines. The combined output for the boat is thus 5550 HP or 4080 KW. 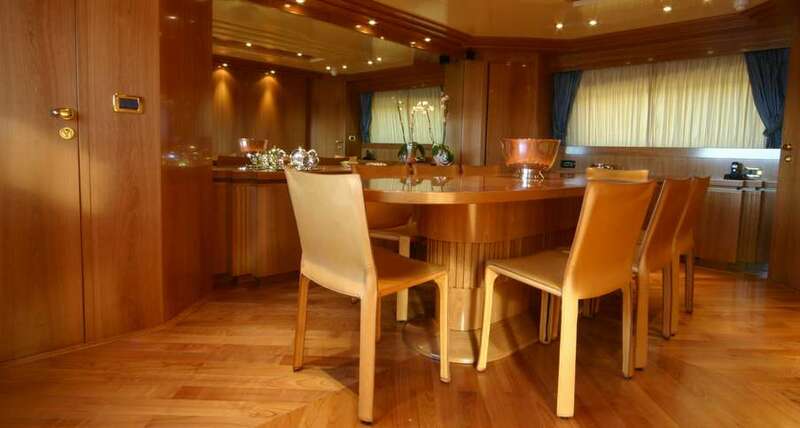 Having room for a maximum of 8 welcome guests staying on board, the ALHENA accommodates them in luxury. Normally the vessel utilises approximately 5 able crew members to run. Total engine power output 5550 HP /4080 KW. 1000 at a speed of 28 knots. Kohler 1 times 40 kilowatts. 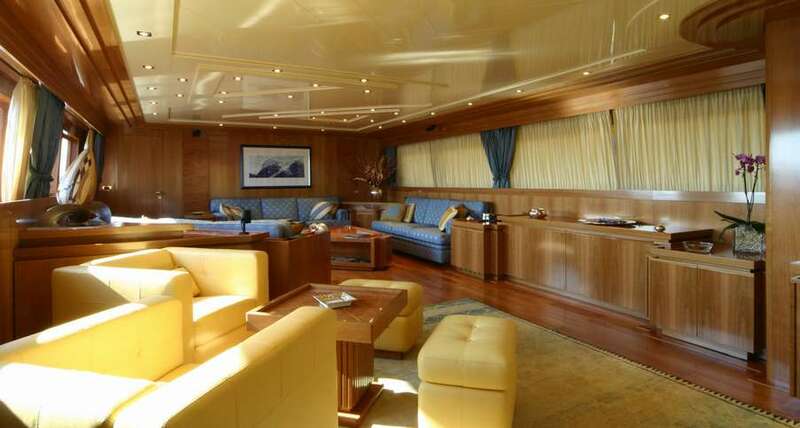 The luxury yacht ALHENA displayed on this page is merely informational and she is not necessarily available for yacht charter or for sale, nor is she represented or marketed in anyway by CharterWorld. This web page and the superyacht information contained herein is not contractual. All yacht specifications and informations are displayed in good faith but CharterWorld does not warrant or assume any legal liability or responsibility for the current accuracy, completeness, validity, or usefulness of any superyacht information and/or images displayed. All boat information is subject to change without prior notice and may not be current.